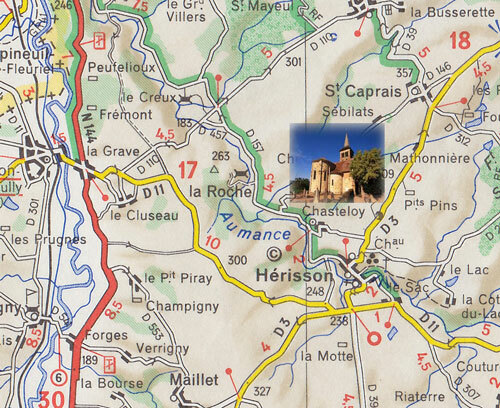 The church of St Pierre was constructed in the XII century on a spur of rock which dominates the Aumance valley. On the south wall there figures the Martyre of St Principin founder, in the V century, of the first village church which has now disappeared. This Martyr is shown in several scenes that are looked at from right to left. 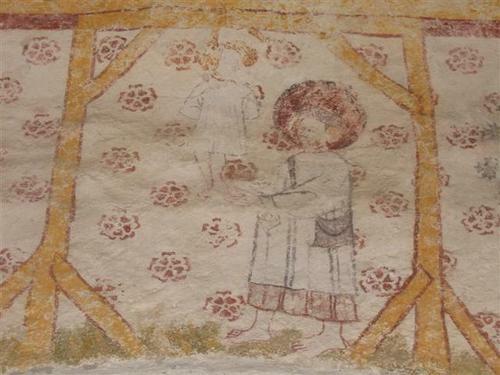 A St Christophe and a God in Majesty complete the iconography.